DJ Scott T, Ultimate Sounds, from Rusch Entertainment Is The DJ for You! 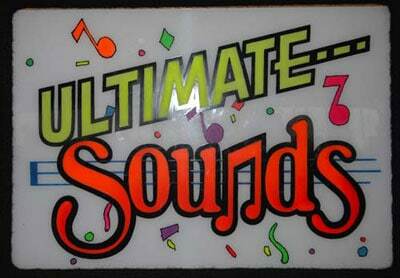 Ultimate Sounds (DJ Scotty) has been the NYE DJ of Choice of the Swan Valley Banquet Center for 10 years in a row. Hundreds of party goers attend the biggest NYE Party in Saginaw County Each year at the Swan Valley Banquet Center. 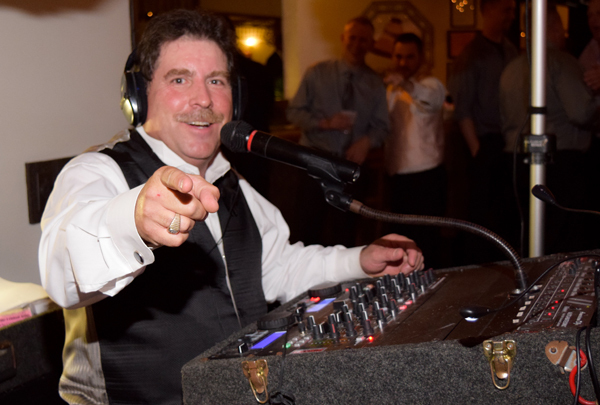 Scott keeps the party lively and FUN by playing the widest variety of the hot dance songs that can be found! Here Scott “Rocks In 2017”. Scott, Ultimate Sounds, from Rusch Entertainment Is An Amazing DJ! 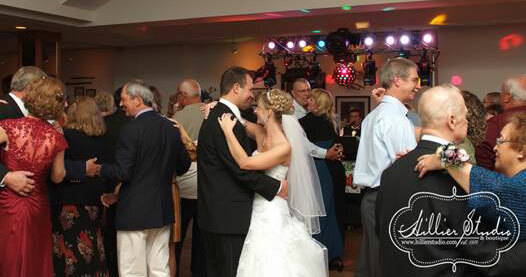 Please Watch this 2008 Live Video of one of Scott’s wedding receptions! After dozens of NYE parties at S.V.B.C., Your DJs: Scott and Jeff, did a fantastic job, as always! Thanks for giving them to me. Happy New Year! 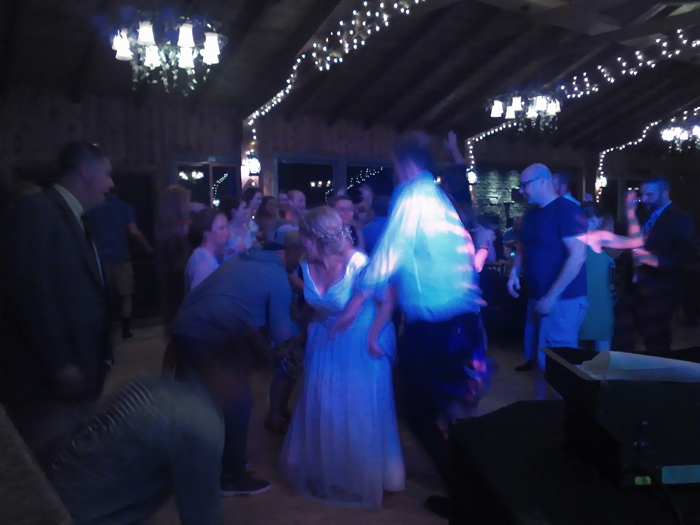 Scott Topham – Thank you for DJing our wedding. You did a great job…even with all the Polish and German last names. 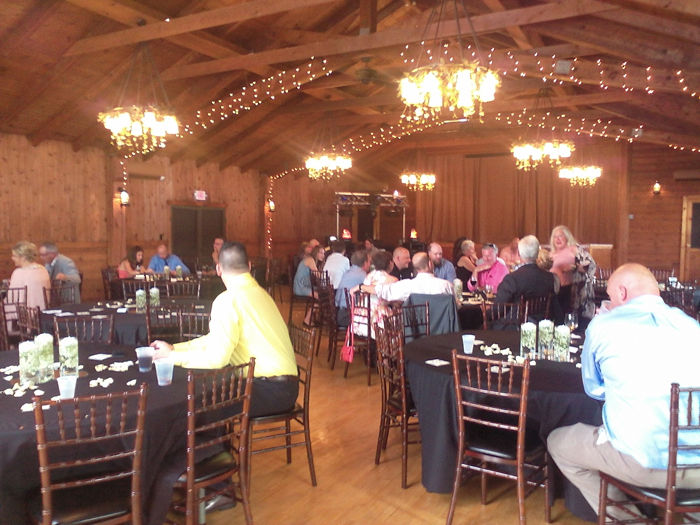 We and our guests had a great time! You will be highly recommended! Thanks again! Dear Rusch Entertainment, Thank you for the DJ you provided for our Fall Homecoming Dance. They did a great job and helped make our dance a big success. We look forward to working with you again! Thank you so much for the fantastic job you did at our wedding at the Candlelite. Everyone had such a great time dancing all night! The music was great and really made the night complete. Thank you again! We just wanted to say thank you to DJ Scott for doing such a great job with the music. The dance floor was packed all night. Numerous people said it was the best music ever at a wedding! Thanks Scott! You recently provided the music for my daughter’s wedding. I would like to thank you for the wonderful job you did. You played music with taste and you played it at a volume that let people talk. So many times at weddings the music is played so loud that people can’t talk or hear one another. I had many of our guests tell me how nice it was to be able to visit above the music. One couple in particular told me they hadn’t stayed that late at a wedding in a very long time. They usually left a wedding when the music started because they could no longer carry a conversation. Thank you for the fine job you did. We appreciate your efforts and will pass your name along to others. Scott Topham, Thank you for entertaining our guests. You did a wonderful job. Dear Scott, Thanks so much for the FANTASTIC job you did at our reception. We had the greatest time, and people loved the music you played. I think you had a full dance floor all night! J I would not hesitate to recommend you! You were absolutely great. Thanks again! Dear Scott, Thank you for your part in making our wedding day the perfect day it was. We loved the music you played, and so did our guests. I guess that was obvious, because there were always people (lots) on the dance floor. You were professional, easy to work with, flexible, and low-key. Thank you so much! We would highly recommend you to others. We wanted to take this opportunity to thank you for sending Ultimate Sounds to us for our Bridal Celebration. He was wonderful to work with. I would recommend his services to anyone. We look forward to working with you in the future. We were VERY satisfied! If we had to do it again, Ultimate Sounds would be our first choice! Scott couldn’t have done anything better! It was awesome! We had a lot of positive comments about his selection of music! If we could do it all over again, we wouldn’t change a thing! I wanted to thank Rusch Entertainment for the fantastic DJ, Scott Topham, and fabulous harpist, Laurel Federbush, who performed at our wedding ceremony. 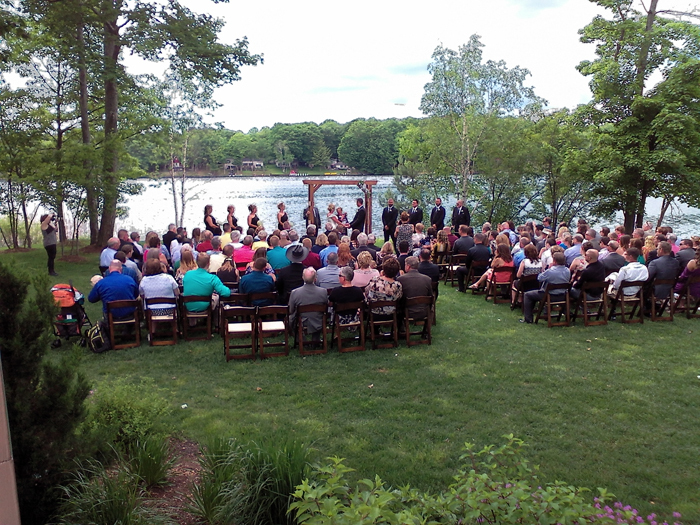 Both Scott and Laurel were very professional and did an awesome job. We were very pleased, and received many compliments from our guests on their performances. Thank you to Corey Rusch, who recommended them to us, and to everyone at Rusch Entertainment who were very polite and helpful on the phone and in person with answering our questions. It truly made our day special and fun! 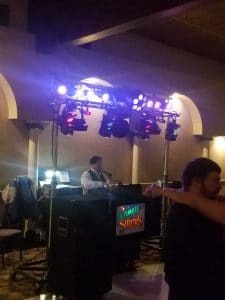 I was very pleased with the performance of Ultimate Sounds at my wedding reception. I booked Ultimate Sounds without ever hearing them so I wasn’t quite sure what to expect, however, they did a terrific job! They did an excellent job!! People were on the dance floor all night. Thanks for letting us have the fog, and for suggesting Ultimate Sounds to play for us. The Pinconning Area High School Prom Committee would like to extend an extra special thank you. 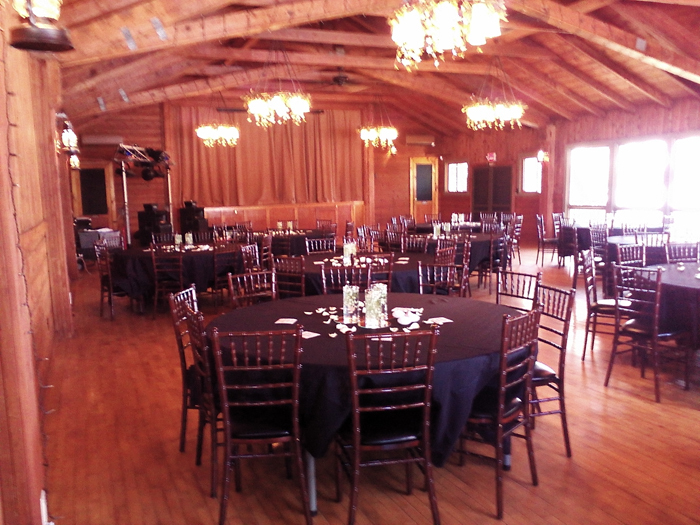 It is the generosity of others that helped our prom become a success that it was! The junior and senior students who attended prom were very pleased and look forward to next year. Thank you again for your music! The entertainer was very good and really knew how to read the crowd. I was very pleased with his performance. I would definitely hire him again for any other event we may have. Scott did a terrific job! We strongly recommend him! I would really like to thank Ultimate Sounds because they were really great. Due to personal reasons a few people dropped out of the wedding and a few got switched around. Well because of everything going on, I forgot I had made up the paper a while back of who was in the party so they could announce it for the dance. Thank God the guys asked me too look it over just before they did the announcing. I would have really been embarrassed! I really appreciate that! They were very friendly and helpful. I know my mother had a request for a song and within the next song or two they played it! Usually it takes a while before DJ’s even get to it. Well thank you for helping us with the wedding! I truly would recommend Rusch and definitely Ultimate Sounds to future Brides and Grooms! Scott, Once again THANK YOU for a wonderful night, I couldn’t ask for a better DJ. The music you played was perfect. and it was nice to see at midnite people were still dancing.. We have been to 5 wedding this summer, and by 9:30- 10:00 people were leaving. I have already had 2 people ask for your card and I am keeping one. Because I’m sure we will need you again down the road when my son gets married which I hope will be with in the next year or so.. Thank you for the nice CD you made for us, been listening to it on my way to work this morning. You have a great day. Hi Dean! Just wanted to let you know that Scott Topham did a fantastic job DJing our wedding! We were very satisfied and our 430 guests were also! Thank you very much for you’re wonderful service and all of the great memories you helped provide us with. Take care! Scott was professional and courteous. His song selection/volume were excellent and he had a great rapport with the audience. Scott was great – we had a great night and could not have asked for more! It was a wonderful surprise that we were given a CD of the songs that we had requested and that made our night memorable. Thank you! Everyone was happy that Scott was able to read the audience and know what we wanted to hear and dance to. 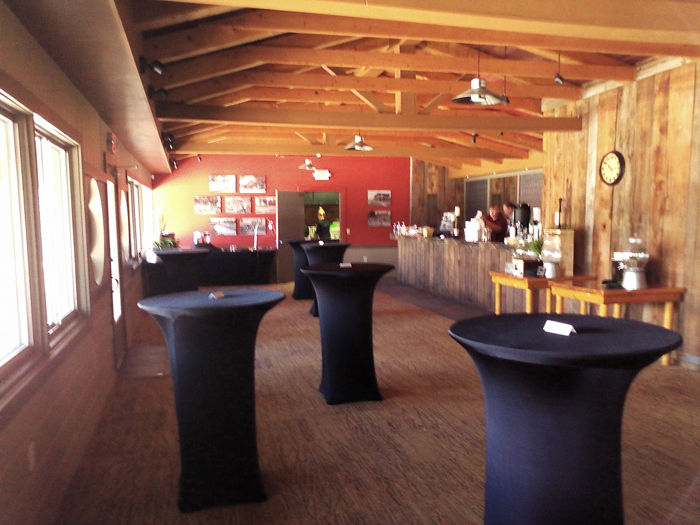 I would recommend Scott and Rusch entertainment to anyone having a wedding or party in the future. Thank you for everything!